Turning traditional menu boards into a revenue generating tool. 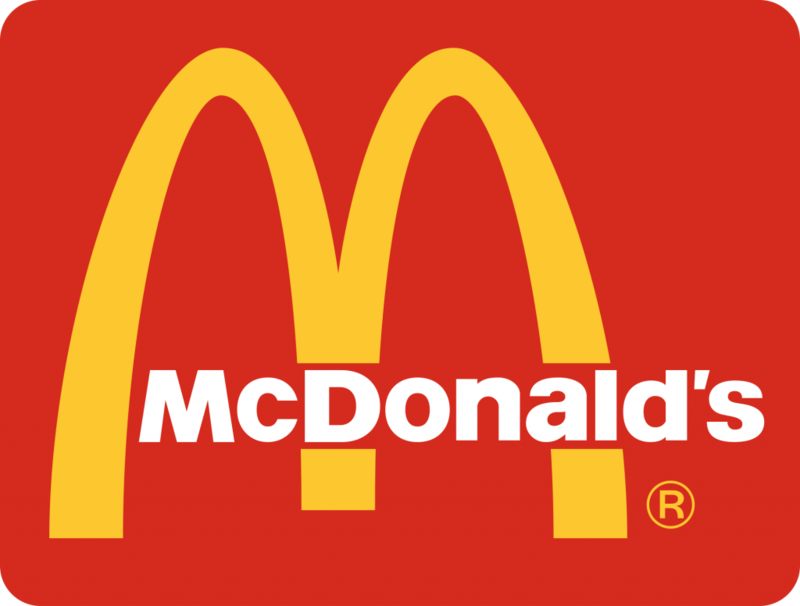 McDonald’s is the world’s leading global food service retailer with over 36,000 locations serving approximately 69 million customers in over 100 countries each day. AT&T Inc. is a premier communications holding company and one of the most honored companies in the world. 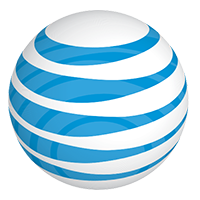 Its subsidiaries and affiliates are the providers of AT&T services in the United States and internationally. With the imminent release of the most highly anticipated tech product of the year, AT&T needed to create an appropriately positioned, high-impact, in-store promotional campaign to optimize the customer experience and influence buying behavior at the point-of-purchase. AT&T’s strategy was to leverage an extensive digital signage network utilizing STRATACACHE’s ActiVia for Media digital signage software to power the network and deploy a kiosk in every AT&T retail store. Each kiosk would include a self-promoting product feature review to entertain and inform customers even when store associates were busy. On an incredibly tight schedule, AT&T deployed 2,120 digital signs in 1,840 stores. Each digital signage kiosk attracts in-store customers to a promotional area, highlights the product, visually communicates key features and boosts product sales. The kiosk includes display products, allowing customers to touch, feel, and test drive the product while being dazzled by promotional video. STRATACACHE’s digital signage software solution, ActiVia for Media, creates playlists, schedules and distributes dynamic content across the network, and monitors and reports on all players within the network. STRATACACHE’s engineering resources facilitated a smooth launch and helped AT&T effectively deploy the solution. Since ActiVia is device and platform agnostic, AT&T did not have to make accommodations dependent upon each store’s media player and operating system. Adobe is the global leader in digital marketing and digital media solutions. They provide tools and services that allow customers to create, deploy, measure and optimize ground-breaking digital content. The demand for fast, reliable internet supporting attendees across a multitude of mobile and static devices has caused network usage to soar, costs skyrocketing and user experience to degrade. Adobe needed to find a cost effective solution to support event labs, media downloading and software updates all while providing attendees with a rich user experience. The SuperLumin Event Cache Engine was created specifically for large venues, tradeshows, exhibit halls and events. Our engines significantly reduce network performance challenges by decreasing the overall volume of content moving over the network. We identify, prepopulate and store frequently requested media and content eliminating the need to repeatedly transmit the same information over and over again which can severely slow down your network. With over 7,000 attendees at Adobe Summit and a large iOS update scheduled for release at the same time, Adobe knew it would have challenges supporting the media labs, sessions and attendees. By placing the Event Cache Engine inside the venue during the event and prepopulating the iOS update, Adobe was able to eliminate network congestion and drive bandwidth savings all while improving the attendee’s internet experience. By conserving bandwidth Adobe was well prepared for any unexpected peaks in usage. By minimizing access times, alleviating network congestion and reducing bandwidth usage, Adobe was able to save tens of thousands of dollars. Additionally, the Event Cache Engine provided valuable data including the most trafficked sites, user data, site behavior and time on site. Adobe and SuperLumin will continue their partnership by expanding into Live Streaming Optimization at future Adobe events. Luxottica Group, the world’s largest eyewear company, has one of the strongest, balanced brand portfolios found in over 7,500 retail locations around the world. With the implementation of tablets in 3,100 stores, Luxottica’s network wasn’t prepared for the bandwidth constraints it was about to endure. When accessed by thousands of customers simultaneously, the rich-media product catalogs on the tablets left consumers waiting…and waiting. Oftentimes, products would take 30-90 seconds to load—leaving consumers frustrated and walking out empty-handed. While the company’s initial tablet strategy was in place, Luxottica soon realized the solution wasn’t creating the experience they’d envisioned. Luxottica needed a solution that would allow consumers to browse product catalogs without slow, unreliable connectivity. With the need to enhance the tablet application’s performance, Luxottica turned to STRATACACHE to install its Retail Proxy solution. The Retail Proxy provides local storage of remote web or mobile content, applications, training materials, or media files. In a retail environment, small proxy appliances are placed in stores and automatically programmed to cache frequently used content accessed by consumers and store associates. Caching is extremely important because it allows retailers and brands to offer consumers highly compelling, rich-media experiences in- store (on tablets, Smartphones, digital signs, kiosks, etc.) without clogging up the network uplink to headquarters. Caching unlocks the ability to deliver cool apps to consumers in-store without spending a fortune on bandwidth. Viewed as an integral part of the core infrastructure, Luxottica deployed one Retail Proxy per location, in addition to a parent proxy at its headquarters. STRATACACHE prepopulates and configures content on the Retail Proxy, so once it reaches the store, it is ready for use. The parent proxy is looped to the 3,100 Retail Proxies at the store locations, so any content that hasn’t been cached locally goes through the parent proxy. Alleviating network consumption and enhancing the application browsing experience, the STRATACACHE Retail Proxy allowed Luxottica to deliver rich, engaging content at a much faster speed. With the Retail Proxy installed, content response time on the tablet was minimized to a mere 1-3 seconds, compared to the initial 30-90 seconds of buffering customers once encountered. By deploying the Retail Proxy, Luxottica was able to accomplish the customer experience they’d always envisioned. Customers no longer leave frustrated, and the need to showroom is eliminated. With much anticipated success, Luxottica intends to deploy Retail Proxies in all 7,500 of its retail stores.